Greenhouse gases, how smog, soot, and a great number of other air pollution sources are affecting both your and our planet’s health. How much do you know about it? Air pollution is defined as the discharge of harmful pollutants in the air that damage human health and the planet. The majority of air pollutants are the byproducts of energy production and use. 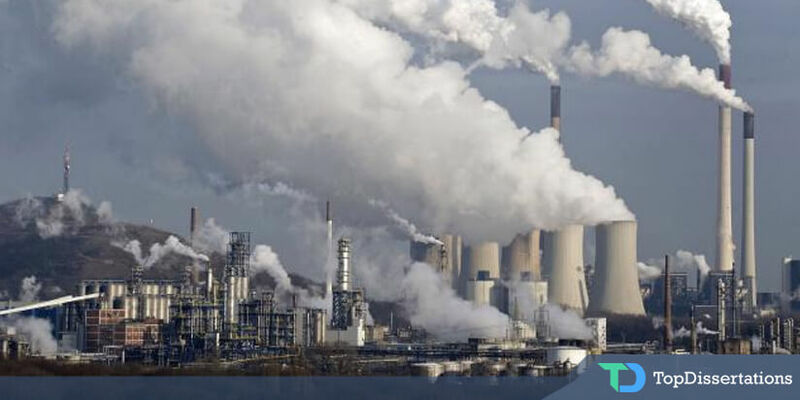 For instance, a lot of harmful chemicals and gases are released into the air as the result of burning fossil fuels. Aside from damaging the health of people, air pollution also contributes and accelerates climate change. According to the 98% of scientific researches, climate change poses the real threat to the future of humanity. Intensified release of air pollutants causes smog which increases the temperature and ultraviolet radiation. Smog and soot. Smog is the reaction which happens when sunlight and emissions from combusting fossil fuels meet. Soot is made up of little particles such as smoke, allergens, dust, gas, chemicals, soil and takes the form of solids or gas which is carried in the air. Smog and soot reduce the clarity of what we see. In some states, this clarity was already reduced by air pollutants by 70%. Sources of soot and smog are power plants, trucks, engines, factories – all that combusts fossil fuels. Soot is especially dangerous because it can lead to heart attacks, bronchitis, and other life-threatening diseases. Dangerous air pollutants. Some of the most hazardous air pollutants are lead, benzene, mercury, and dioxins. 200 of the most hazardous air pollutants are regulated by law. Benzene which is a strong carcinogen can cause blood disorders if the person is affected by it for a long period of time and lung, skin, or eye irritation in the short term. Dioxins affect the liver, nervous, endocrine and immune systems, and reproductive organs. Greenhouse gases. They lead to the increase of Earth’s temperature and all signs of climate change: extreme weather, rising sea levels, increased transmission of infections, and heat-related deaths. Pollen and mold. Mold is carried in the air and its harmful effects on health are aggravated by climate change. Climate change has made pollen allergies more frequent and worse. When you see on the news or read in the newspaper that pollution levels will be high today or tomorrow, limit your and your children’s time outside. If you’re exercising outside, stay away from the traffic. If the air quality is bad, close your windows and stay inside.